A Texas-based commercial contractor faces more than $750,000 in fines for allegedly cheating 65 workers out of their proper compensation on a $25 million hotel renovation project in Hawaii, authorities announced. R&R Construction Services, of Conroe, TX, was said to have misclassified the workers as independent contractors when they should have been considered employees, according to the state’s Department of Labor and Industrial Relations. By doing so, the company avoided requirements to provide unemployment, workers compensation, temporary disability and prepaid health care insurances, officials alleged. 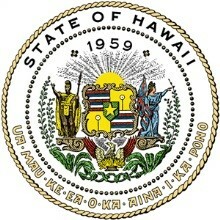 Hawaii state officials issued the fines following an investigation in August. “Law-abiding contractors who pay their fair share face unfair competition and workers suffer when deprived of their rights and benefits,” DLIR Director Linda Chu Takayama said in a statement. The case stems from an investigation launched into the Maile Sky Court Hotel project in Waikiki after workers and the Pacific Resource Partnership, which represents the Hawaii Regional Council of Carpenters, filed complaints with state and federal authorities in August. The company has 20 days to respond to the case. R&R Construction Services didn’t immediately respond Monday (Sept. 26) to a request for comment. Kyle Chock, assistant financial secretary-treasurer of the Hawaii Regional Council of Carpenters told The Honolulu Star that the large fines reflect the severity of the case. 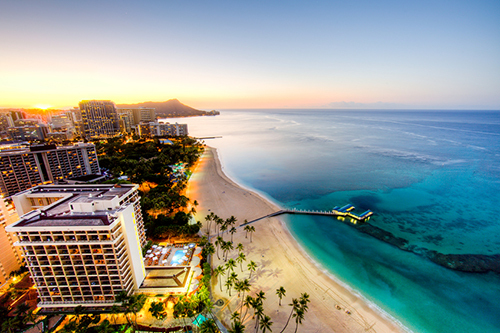 “The visitor industry, and a pleasant visitor experience, is important to Hawaii, but Hawaii’s working people and law abiding contractors need to benefit fairly," according to DLIR Director Linda Chu Takayama. The hotel renovation project is near Wakiki beach in Honolulu. In addition to the $767,095 tab, R&R could face further sanctions from the U.S. Department of Labor's Wage and Hour Division and the Hawaii Department of Commerce & Consumer Affairs. Reports say the renovations began in April and are expected to be completed in November. Unionized labor does a really good job of making itself a target for public ire. Sanctimonious public comments like Chock made irritate everybody. In a room full of 100 people, where everybody is looking for someone to blame, the smuggest guy in the room is going to be the most popular target. Being right has absolutely nothing to do with the way you deliver your comments. However, in fairness to Chock, you probably shouldn't let people from accounting address the public anyway. I moved our entire accounting department to an empty building up the road, just so I didn't have to listen to them chatter about the $0.03 outstanding from a $400k deal. I support the effort to keep the playing field level. The many good contractors who work hard and play by the rules are burdened trying to rebuild this industry which takes so many black marks from the few bad actors. I also support sanctions against those that cheat their works. Nationwide this type of misclassification issue is a multi-billion dollar theft of taxes alone not to mention the stolen wages. Frankly the fines mentioned in the article while substantial, do not appear to include any incarceration time that would be appropriate for such a level of theft under any other circumstances. Jail sentences would be a far better deterrent to prevent such theft in the future. It speaks poorly of our governments whose job it is to enforce the laws of the land that it consistently takes a third party to build such cases and get them prosecuted. Instead of raising everyone else’s taxes to cover such losses Governments should prosecute all such cases and hold those who engage such companies in order to “save some money” mutually liable and responsible for their roles in aiding and abetting the theft from the workers and the taxpayers.